I am a carnivore! Treat me like one. Treat is the operative word here, Mom! Exactly what do I have to do to get these treats? I want meat! No salad pawlease, I am not a rabbit. These treats from Stella & Chewy's are exactly what we carnivores are craving! What? I wasn't supposed to knock it over? Guess what! I'll do it again if I want too! BOL!! I just know there is an opening somewhere. I know all the first thing humans want to know is what the treats are made of. Let's start with the "NO" list, it is the long one. BOL!! There are no grains, added hormones, antibiotics, artificial preservatives, artificial colors, sugar, or salt in Stella & Chewy's products. Don't look so surprised. I told you I was going to knock it over again if you didn't give me one. I have a bag of Beef Recipe Carnivore Crunch. It says the beef is naturally raised. I think that is pawsome! The ingredients in Beef Recipe Carnivore Crunch are: beef, beef liver, beef kidney, beef heart, beef tripe, beef bone, and tocopherols (a natural preservative). To my ears, that all sounds like BEEF!! Yummy!!! Yummy!! About time you listened to me! I didn't even knock the bag over this time. BOL! Now, the dogs all want to know how the treats taste! They are pawlicious!! I would eat the whole bag if I could open it! What can I say? I love beef. BOL!! They sound very yummy to me! I want to taste all of them! Is this how to open it? The Carnivore Kisses are single ingredient treats. They are freeze dried raw meat, that has been diced into bite sized pieces. Nothing has been added to them. Seriously, these treats have the shortest ingredient list I have ever seen. The name is longer than the ingredient list! BOL!! It smells pawlicious! Open it pawlease. 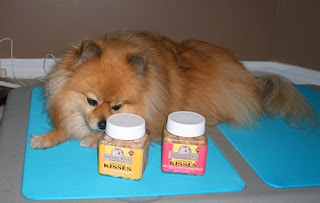 I also have a jar of 100% Chicken Carnivore Kisses! I will bark it again, I want to taste all of them! I realize that raw meat makes humans think of germs. 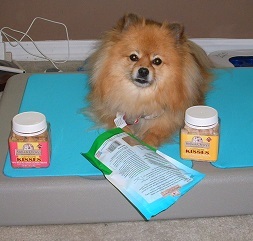 I will soothe your human's worries by telling them about the safety precautions used by Stella & Chewy's. 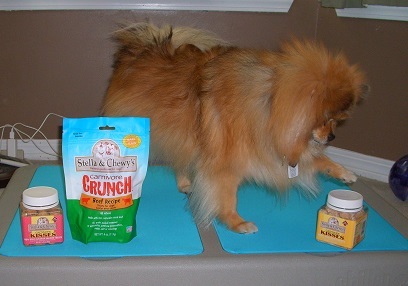 Stella & Chewy's uses SecureByNature, a special patented safety process, to protect all of their delicious treats from bacteria. 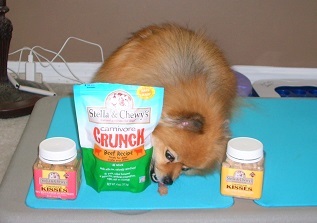 One more safety measure from Stella & Chewy's is to have each batch tested by an independent lab before packaging. No, not the furry kind of Lab, the laboratory kind of lab! BOL!! All of Stella & Chewy's products are made in the USA! All of the ingredients are sourced from North American suppliers. All of these efforts combine to result in delicious, nutritious, and safe treats! 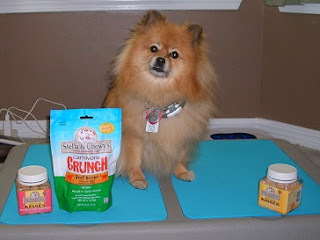 Thank you Stella & Chewy's for the pawsome treats! 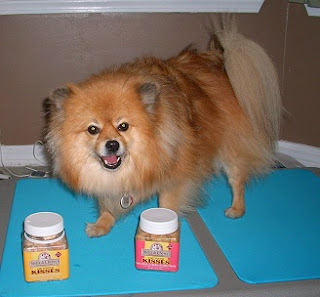 Have you tried any of Stella & Chewy's Carnivore treats? Review Disclaimer: I did not receive any monetary compensation for this review. I was given free products to review. The opinions in this review are my own and not influenced by any outsider . I receive no additional benefits for talking about the product or company. 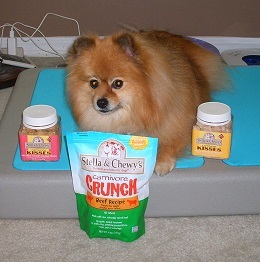 Pepper, I love Stella and Chewy's! My breeder had me on it and Mom continued it. Duck Duck Goose is my favorite. Pawsome company! 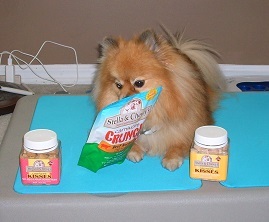 I am glad you can see for yourself how good these treats are and healthy, too! They are addicting! BOL!! I see that bag or jar and come running! My dogs and cats LOVE these! Will you be doing a giveaway? Pepper I never heard of it till you gave this raving review and if Romeo Beau has been on it then it must be good. Excellent review and glad your mommy gave you one so you would quit knocking over the package. BOL!! 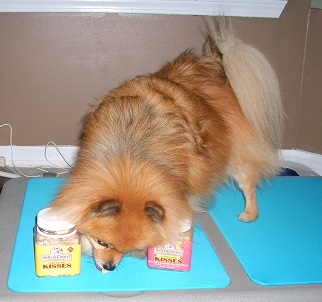 I kept sniffing it, it kept falling over, but no treats would fall out! BOL!!! You will love them Gizmo! I wish Mom would let me have the whole bag. BOL! I love the captions in each picture, so funny!. He sure looks excited about those treats.There must be pretty good. Thank you! I love these treats! They sound great! Cute photos and captions. :) You said the beef was made from naturally raised cows. But according to the USDA, this definition refers to their diet and no hormones given. It may or may not mean the animals were being humanely raised. Do you know if the cows, chickens, and pigs for their meat products have been humanely raised? To be honest, I have no idea. I never asked that question. 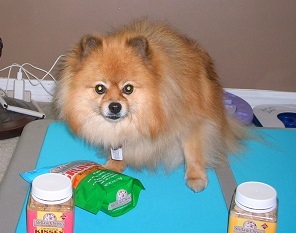 I am generally most concerned with the safety and quality of the treats I eat. I am beyond happy to have treats that use meat without added hormones & antibiotics. I'm sure Stella & Chewy's customer service would be happy to answer the question for you. Duck? DUCK?!? NOOOOOOOOO!!!! Jimmy and Petey will be quite peeved to hear that you're eating duck, Pepper.